By this point, everyone knows how good tofu is for us. A staple in Asia for 2,000 years, tofu is known for its extraordinary nutritional benefits, as well as its versatility. Tofu, also known as soya curd, is a soft cheese-like food made by curdling soya milk with a coagulant. Tofu is a rather bland tasting product that easily absorbs the flavours of the other ingredients. Tofu is rich in both high quality protein, B-vitamins and calcium, lowers cholesterol and is easy to digest. Furthermore, tofu is rich in isoflavones which helps prevent osteoporosis and has shown to reduce likelihood of certain types of cancer. A wonderfood! Then why aren’t more people gobbling it down? Tofu tastes like crap. Well that’s not exactly true, it actually tastes like absolutely nothing at all. And the texture is weird. If you meet someone who tells you that they like tofu as is, do not trust them. They are trying to impress you and they are liars. However, not all is lost. 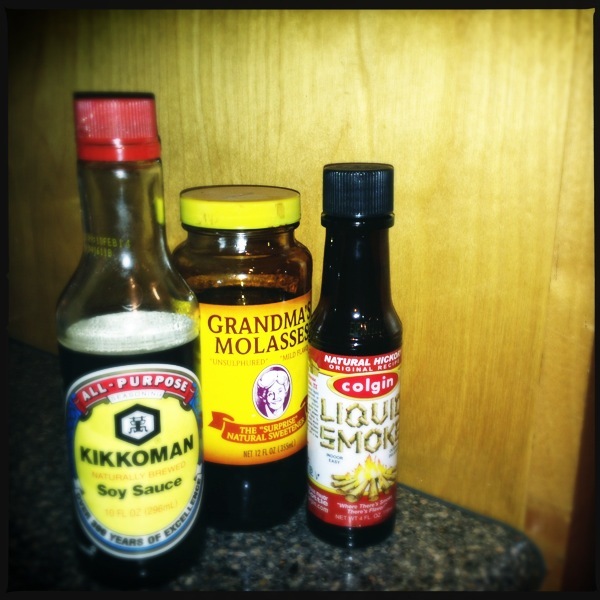 Tofu is extremely versatile and capable of taking on the taste or whatever is it marinading in. And when baked, the texture changes. Hope for it yet. Slice tofu about 1/3-inch thick lengthwise (or into triangles if serving as an appetizer/snack) Mix the rest of the ingredients in a plastic container with tight lid in which you can soak all of the tofu slices in this marinade sauce. Marinade the tofu slices for 24 hours in refrigerator. 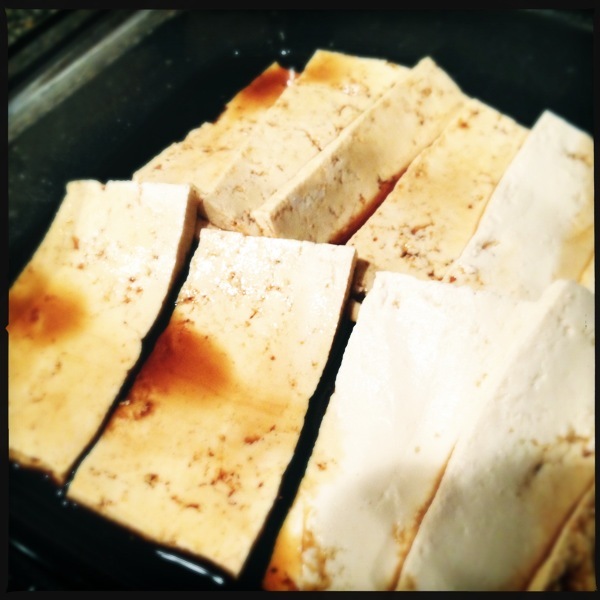 Bake drained marinated tofu slices on an oiled cookie sheets for 10- 12 minutes in 400 F oven. Flip and bake the other side about another 10-12 minutes. Let them cool before using if using for sushi. Otherwise enjoy! Good to eat hot or cold.